Waiters & Tipped Employees Overtime Attorneys | Kennedy Hodges L.L.P. Tipped employees are the backbone of our service industry. Often times, employers will take advantage of their hard work and pay tipped employees less than the federally mandated minimum wage. Tipped employees (busboys, bartenders, waiters, caddies, valet drivers, etc.) are eligible to legal protection under the Fair Labor Standards Act. If you have a question about whether you have been paid properly, please read on. What does the law say about wages for tipped employees? Tipped employees are those who customarily and regularly receive more than $30 a month in tips. If you are classified as a tipped employee, your tips may be counted as wages for purposes of meeting the minimum wage requirement of $7.25 per hour. This is known as a “tip credit” because your employer receives a “credit” toward the minimum wage requirements. However, this tip credit does not free your employer of their obligation to pay you a direct wage. Your employer must pay you at least $2.13 an hour – regardless of how much you make in tips. If they fail to pay you this direct wage, you have a claim. All three of these prongs must be met for a valid tip credit. If any one of these has not been met, the tip credit is invalid, and you have a claim for a minimum wage violation. For instance, even if your hourly rate comes out to be $7.25 (including tips and direct wages), you may still have a claim for lost wages, if they do not inform you of their intention to use a tip credit. 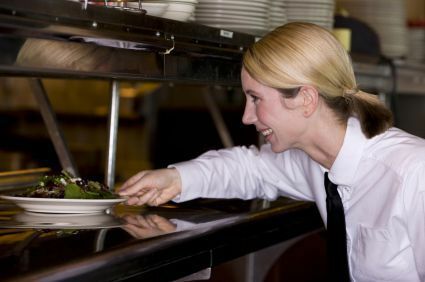 Additionally, if they fail to adequately explain the tip credit provision to you before applying it to your wages, the tip credit is invalid, and you have a claim for a minimum wage violation. In addition, you may have a claim for a minimum wage violation if your employer has an unlawful “tip pooling” arrangement. This occurs when an employer withholds your tips in order to tip out other employees who customarily do not receive tips (cooks, dishwashers, managers etc). If your employer is requiring you to share your hard earned tips in this capacity, the tip credit is invalid and you have a claim for a wage violation. Oftentimes, employers fail to pay tipped employees overtime wages for working more than 40 hours in a 7 day work week. Even if your tips pay you more than $7.25 an hour, you are entitled to overtime compensation. Federal law requires employers to pay overtime wages on the employee’s regular rate including all service charges, commissions, bonuses and other remuneration. Therefore, if you work more than 40 hours a week, without adequate compensation, you have a claim for an overtime wage violation. If you are a tipped employee and believe you have been wrongfully denied your hard earned wages, you may have a claim for an FLSA violation. This statute will allow you to recoup not only your unpaid wages, but also make your employer pay double that amount for every hour worked. Additionally, you may recover for up to three years and your employer is required to pay your attorney’s fees if you prove your claim. We have years of experience successfully representing hundreds of employees who have been denied their proper wages. Our expertise in FLSA violations will help ensure that you are fairly compensated for an honest day’s work. If you have questions about whether you are owed money due to a tipping violation, please contact us for a free consultation. To read about actual clients we have represented please view our case results.